I had no idea that a legume I’ve always associated with the words “sad” and “boring” could attract my attention at the farmers market! 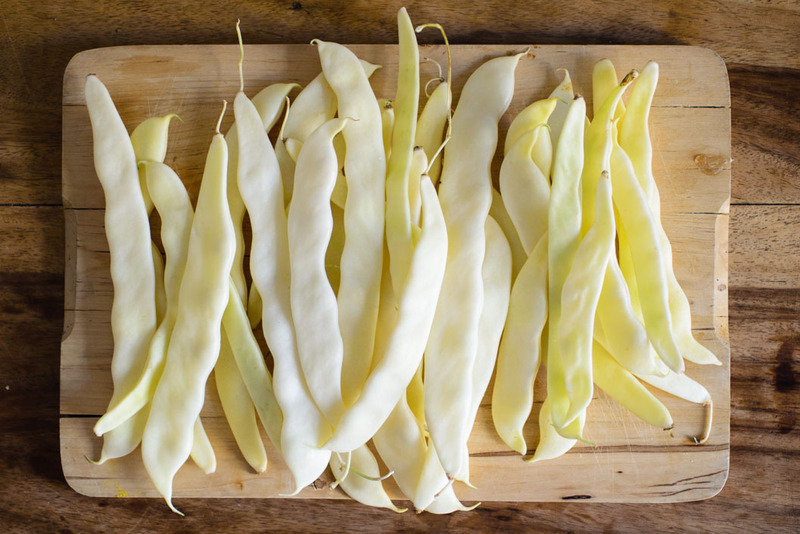 This kind of vegetable, known outside of Italy as Italian flat bean, Italian pole bean or Romano bean, and that we simply call “taccole”, is usually green, and I had never seen its white variety! So of course I had to get it. 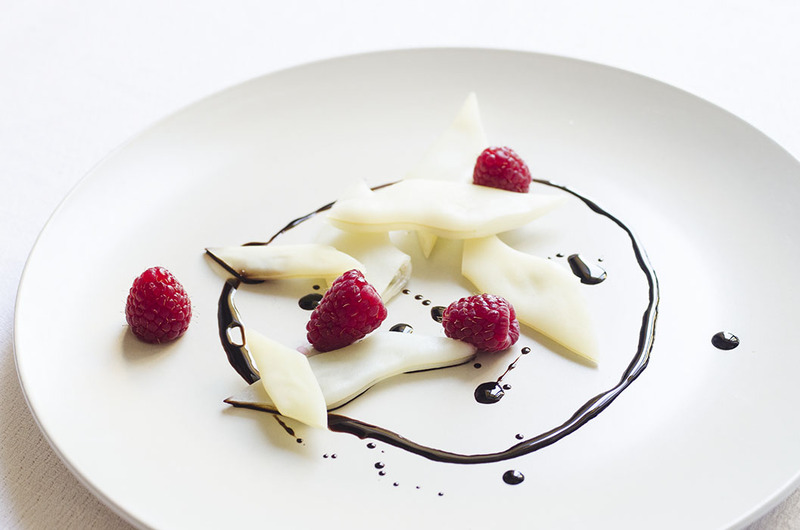 Common recipes involve sautéed tomatoes but, as I wanted to keep the white color, I decided to go for a simple and minimal dish, combining them with one of my favorite fruits. 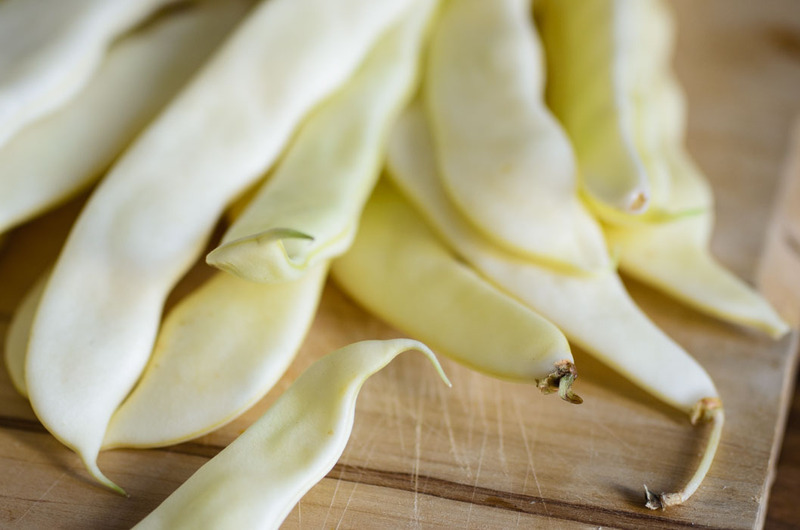 What’s great about these beans is that they’re super easy and quick to prepare as both peas and pods are edible! Wash beans under running water, then cut off the ends. Cook in boiling salted water for 10 minutes, until just tender. 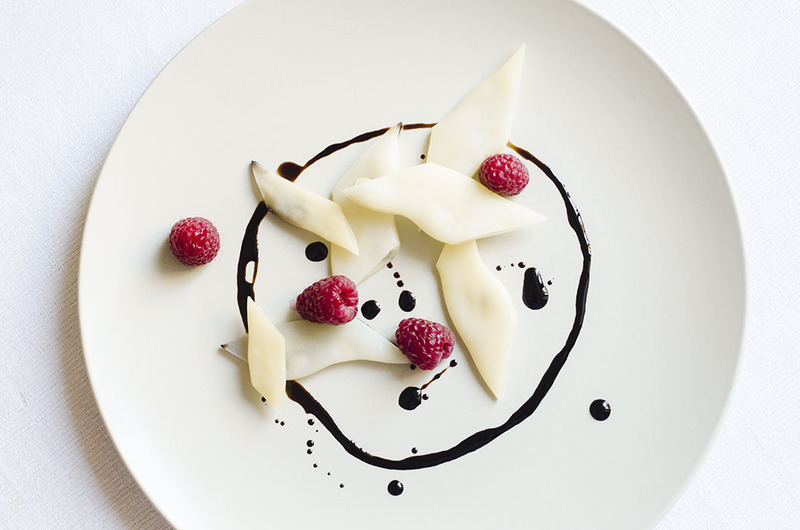 In the meantime prepare the vinaigrette: add oil, salt, pepper and balsamic vinegar to a bowl and whisk with a fork (if using balsamic reduction, add separately). Drain and rinse beans under cold water to stop from cooking. 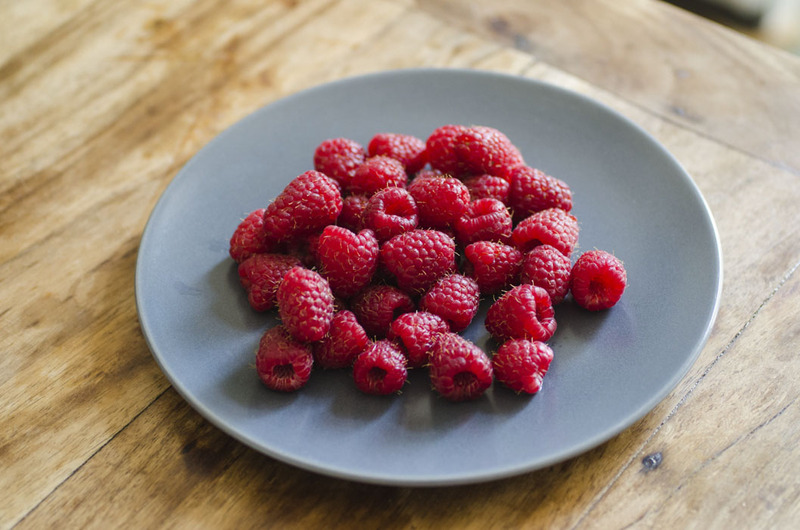 Cut diagonally, add dressing, toss, then add raspberries when ready to serve.